It's my baby Waffles (who I currently miss something terrible, by the way, since I'm away in New York). I got the Tough Xtreme case because I've been traveling every couple weeks and my phone has kind of been going through hell. The screen has also been shattering more times than I'd like to admit. 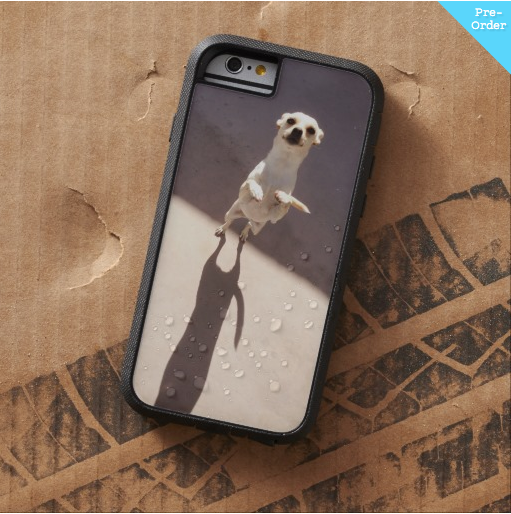 But for those of you who don't abuse your phone like I do, Zazzle has many other options here. After watching/reading up on the press release of the iPhone 6, iPhone 6 Plus, and iWatch, I'm even more excited for my new goodies. My phone basically serves as my computer so finally upgrading my phone after about 3 years would be incredibly helpful. Which gadget are you getting? Nicht wie die insbesondere altmodische Put zusammen mit Drahtverbindungen, die in der Regel weiterhin anwenden elektrischen Strom, auch wenn Ihre aktuelle Mobiltelefon ist in der Regel gründlich verrechnet und aus diesem Grund laufen Sie Einkommen die besonderen Wi-Fi-Ladegeräte zu beenden, sobald die aktuelle Bb in der Regel gründlich verrechnet. Kabelloses Ladegerät für smartphone. Best of all das riecht, wenn Ihr Bb nicht gründlich mit sofort startet die Methode. Das bedeutet, Ihr Bb ist eigentlich zusammen mit ganz eingestellt, um zu gehen grundiert. Awww its so cute! Well I don't have a iPhone but need cases for Samsung Galaxy S... I have looked into some of the online store Rokform Europe, I found there custom iPhone cases, iPad covers & galaxy cases, docking station for iPhone & iPhone bike mounts. .. This was pretty helpful for me.. You can also have a look on some of the samsung galaxy S3 & S4 protective case by choosing your own color, look & style. It also contains the bike & car mounts, magnet kit & integrated lock mechanism system. Thanks.